In today’s fast paced life, we often crumble under pressure because of situations we ourselves have created in our lives. Shoulders stiff with tension, aching muscles, frowning foreheads, stress, hypertension, blood pressure, sluggish looking skin and the never-ending trauma of premature greying and hair loss. seem to figure somewhere last on the list (if they are there at all!). Why should she give up on herself? I firmly believe that any woman, who has five to seven minutes to brush her teeth everyday, should also be able to take out five minutes a day for her skin and hair. 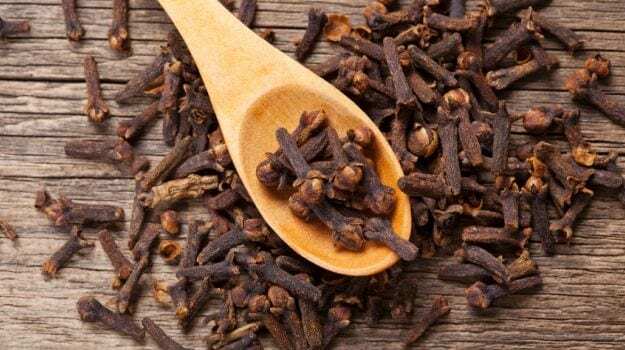 are replacing home-made beauty aids which were age-old remedies. One is forced to wonder if this is the future of our coming generations. , but don’t know how to. Take 10 ground cloves, 2 tsp fresh mint paste and 1 tsp gram flour. Mix with cold water and apply on the face. Once it is dry, wash off with iced cold water. Take 2 litres of water, 7 cloves, 1 pinch of camphor and a handful of fresh mint leaves. Simmer the solution until it reduces to half and let it cool. Refrigerate. This skin tonic can be used to wipe the skin several times a day and it helps reduce oiliness and refreshes the skin. , and is a wonderful summer soother. 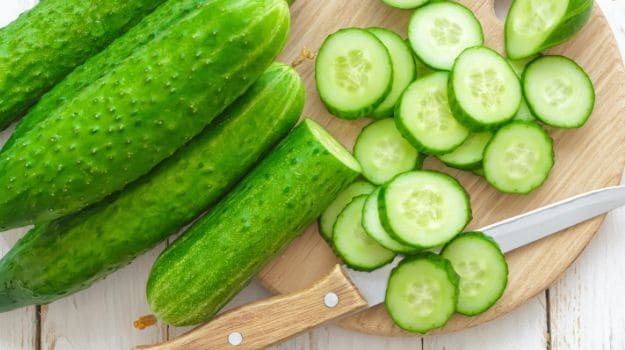 You can grate cucumber and massage it on your skin to fade freckles, smooth wrinkles, bleach the skin and soften your hands. Cucumber slices, cut and refrigerated, are fabulous eye soothers and can be placed on the eyes after a long day of driving. Grated cucumber and lemon juice mixed with two tsp of fuller’s earth can make a wonderful skin soother and anti-tan pack. One of my favorite citrus fruits – lemon, is highly underestimated and its bleaching effect and fragrance is great for a mood lightener. 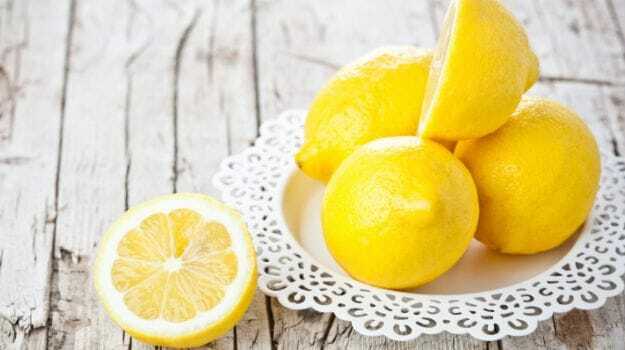 Lemons have a natural bleaching effect on the skin. A tsp of sugar and a lemon halve rubbed on the knees, elbows and knuckles regularly, can lighten the darkest of skins. Also lemon is a wonderful natural hair conditioner. In a glass of strained tea water, add the juice of 1 lemon and use it as an after shampoo rinse to add bounce and shine to dull, limp looking hair. Many women suffer from yellowish nails and I would attribute this to smoking and long periods of using dark nail polish without letting your nails breathe. Rub half a lemon on your nails daily for a week and watch the pinkish natural color and shine return. You can also dry lemon peel and grind it. 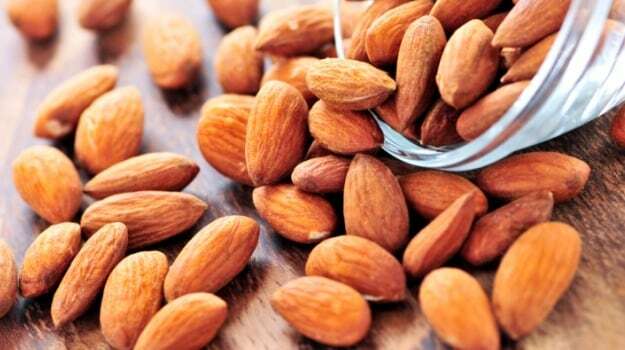 Mixed with whole-wheat flour, almond powder to make an effective face and body scrub. who don’t take care of their hands. Make a thick paste of almond powder, fresh cream and sugar granules, lemon juice and massage into the skin until all the sugar granules have melted. Wash hands and pat dry to see fair, soft hands in just 5 minutes! An everyday food item. 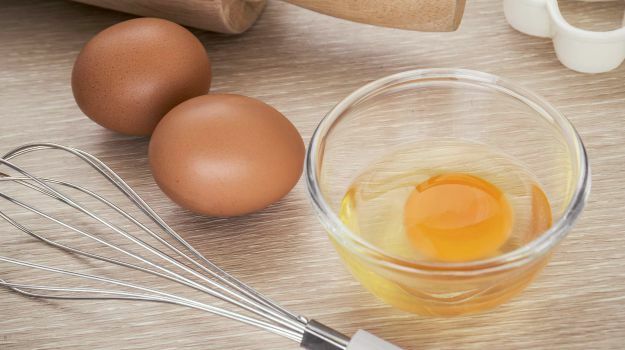 The use of eggs in skin and hair is very wide. If you have fine lines setting around your eyes- nourish them away with the white of an egg. Leave this till completely dry and wash off with ice water. Done every alternate day, you will find the fine lines reducing within the first month. Egg naturally tightens the skin. Mixed with powdered masoor dal and milk and applied to the face and scrubbed off, it leaves the skin tightened and toned. This recipe also helps reduce blemishes. Eggs are a wonderful hair conditioner. Whip 2 eggs with a tsp each of amla, shikakai and reetha powder and apply it to your scalp like a hair pack. Shampoo after half an hour. Henna mixed with egg also conditions your hair and adds body bounce and shine. This fruit, also known as paw-paw is known to soften and clean skin. Frozen mashed papaya applied to the skin is an excellent soother for sun burnt skin. 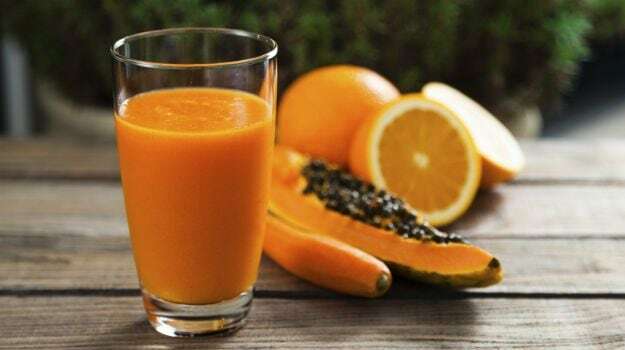 Papaya eaten at night followed by two glasses of water is an excellent laxative and cleans the stomach. If you massage the skin with mashed papaya you will find that your skin looks clearer and lighter, as papaya has certain enzymes that help soften and cleanse the skin. 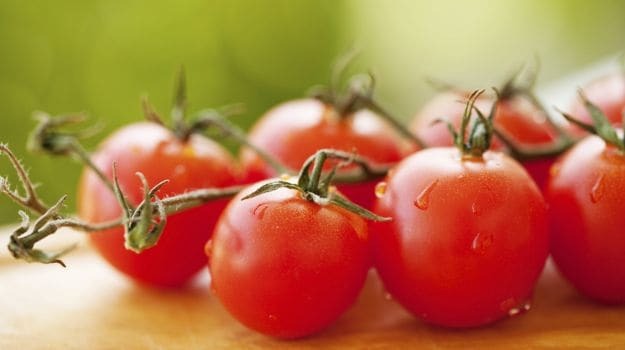 Tomatoes are acidic in nature and help to reduce excess oiliness on the skin. Take two firm tomato halves and rub on the skin. If you suffer from open pores, the regular use of tomato halves rubbed on the skin will help reduce open pores and clean the greasiest of skins. Because of the high content of Vitamin C and potassium, they also help reduce blackheads and nourish the skin externally. Raw potato on the skin is an excellent remedy to remove blemishes. Raw cold potato slices not only soothe the eyes but also help reduce dark circles. 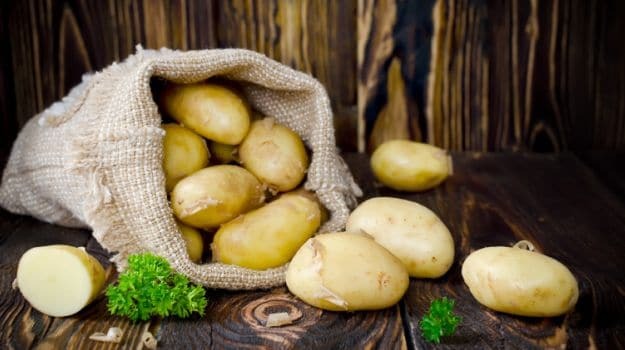 Because potato has high content of starch, it is an excellent skin tightner and the juice of raw potato rubbed and left on to dry skin acts as a toner. You can grate raw potato; mix with lemon juice, oatmeal, fuller’s earth and milk to make an excellent cleansing mask. , it is made from simple everyday ingredients like egg, oil and lemon juice to form a powerful nourishing pack for dry dull skin. Smear mayonnaise over your face for 10 minutes and wash off to see smooth soft skin. 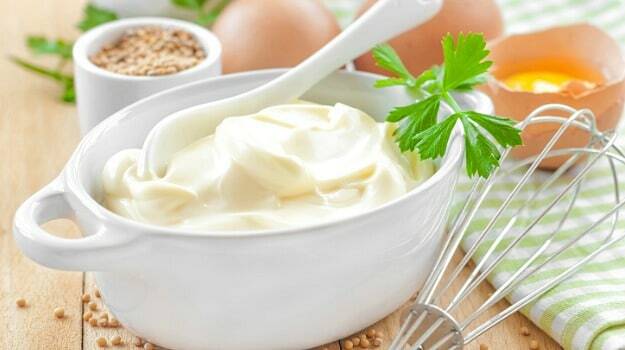 Mayonnaise makes a fabulous hair nourisher for dry and frizzy hair. Massage a sufficient amount all over your scalp and hair and leave on like a hair nourishing pack for 20 minutes. If your hair is frizzy and dry, try this to reveal hair as soft as silk and with a gleam like sunbeams. 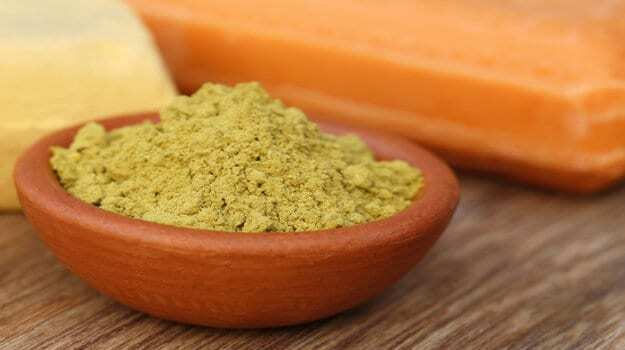 Be it the oil or powder, this powerful natural ingredient is a winner for most skin types. It helps lighten tanned skin and gives you that glow you’ve always wanted. Sandalwood oil has sun protective properties and can be used before stepping out in the sun. has some of the greatest rejuvenating properties for skin and hair. 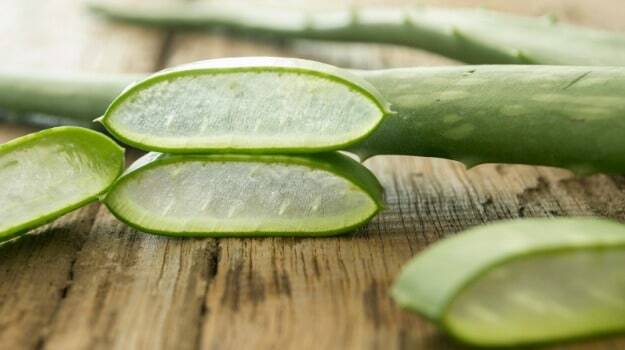 Its gel can be massaged safely on dead dull and tired looking skin and also into the hair scalp to prevent hair loss.It is widely used in today’s skin and hair treatments. Now that you are familiar with some of the best natural ingredients, potter around to create your own beauty regime and see your skin and hair rejuvenate in no time at all!